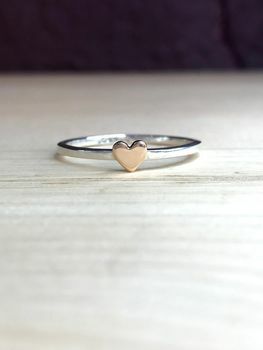 This is a darling heart stacking ring made from beautiful rose gold and sterling silver. This beautiful rose gold and silver heart stacking ring has a simple yet stylish design. 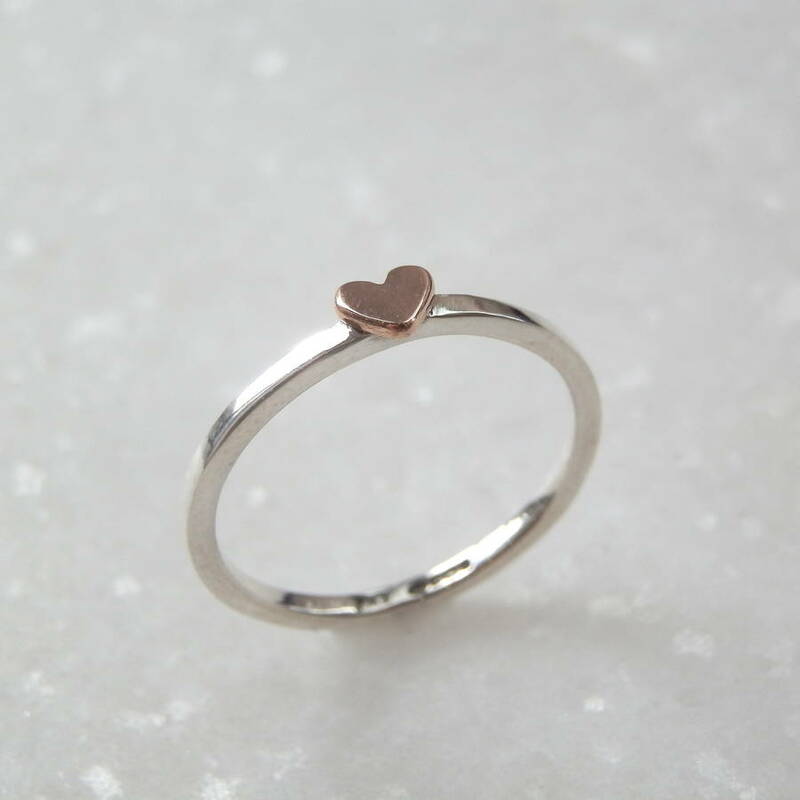 The heart is made from wonderful 9ct rose gold which is set on the top of a silver ring band. 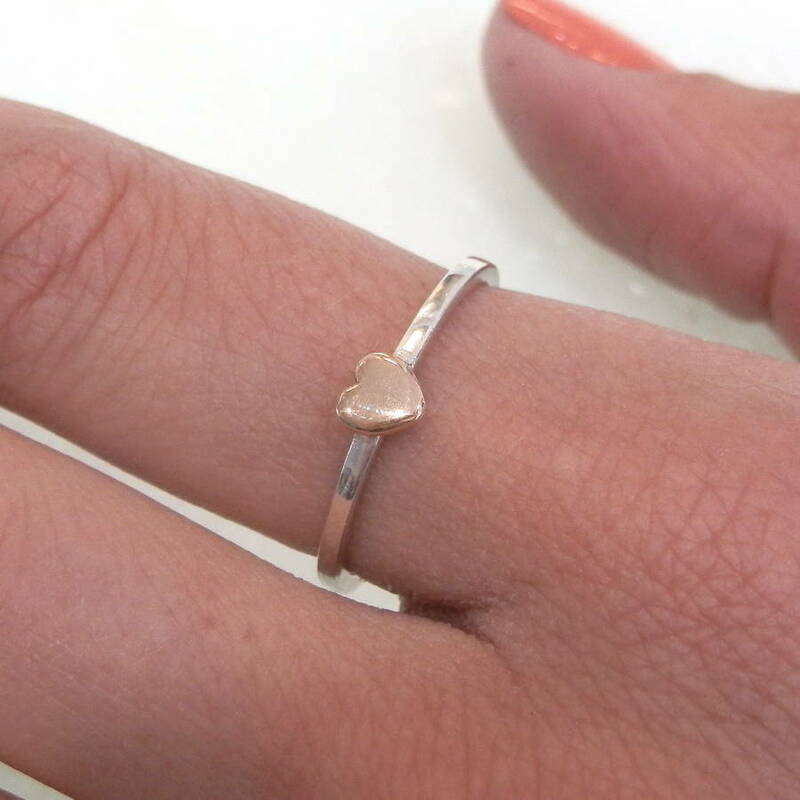 The rose gold heart is just slightly wider than the ring width, so stacks up perfectly with any other stacking ring. 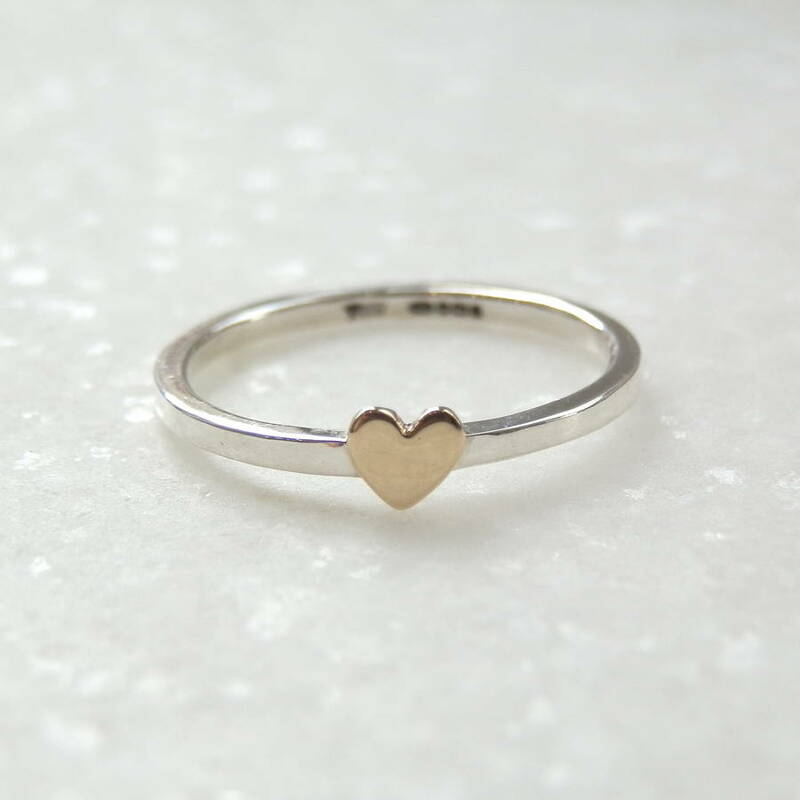 The heart stacking ring is the perfect ring to start your stacking collection as its beautiful on its own, or works well with other rings. This piece of jewellery is handcrafted by our jewellers in the workshop in Corbridge, Northumberland. Your jewellery will arrive in a purple, grey or black gift box. We will happily gift wrap your jewellery and attached a gift message upon request. The heart is made from 9ct rose or yellow gold heart (please choose your preference) on a sterling silver hallmarked ring. The gold heart measures approximately 4mm x 4mm, and the silver band measures 1.5mm square. Due to the handmade nature of this item, variations in the hearts are possible as they are hand cut and crafted. This product is dispatched to you by Kirsty Taylor Goldsmiths.